Masa Hilcisin is a filmmaker, producer, lecturer and scholar, who has been working at Prague College since 2009. She holds a BA in Comparative Literature and an MA in European Studies. Her professional background includes work for media, cultural and human rights organizations in the region of former Yugoslavia where her interests were centred around human rights activism, cultural activism, media research and media formation within the context of nationalism. For over a decade, Masa has been committed to making films on social issues and different aspects of violation of human rights. Her documentary films have been screened at various film festivals around the world including the Berlinale, the International LGBTI Film Festival in Mumbai, Frameline in San Francisco, MIX in NYC, and the International Women’s Film Festival in Dortmund|Cologne. She has participated in a number of key projects at Prague College, including Underground City XXI, Amnesty International workshops, and events organized by the Centre for Research and Interdisciplinary Studies. 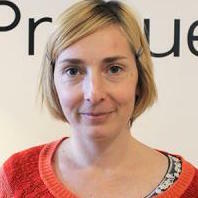 As well as her work for Prague College, Masa teaches documentary film production and film directing at Prague Film School, and is Czech Ambassador for the European Women’s Audiovisual Network. She collaborates with the One World International Human Rights Documentary Film Festival as a member of the pre-selection team and collaborates as a producer with independent documentary film production company Bohemian Productions on feature documentary films. In 2014, Masa gained her PhD from Masaryk University's Department of Film Studies and Audio-Visual Culture with a thesis on the subject of authenticity in representation in the observational documentary film of Helena Třeštíková. Masa has been involved in many cultural and artistic projects including film festival curating, and various women artists support initiatives.